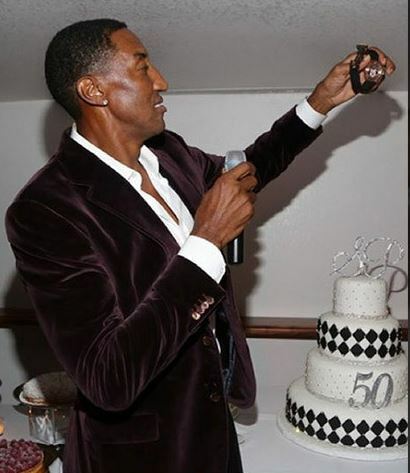 Scottie Pippen retired from the NBA without having the opportunity cash in on some of these astronomical contracts of today, but I’m sure he’s doing well financially. According to TMZ, Hublot made the NBA legend a custom $70,000 timepiece, fresh with more than 100 diamonds and his face on the back. 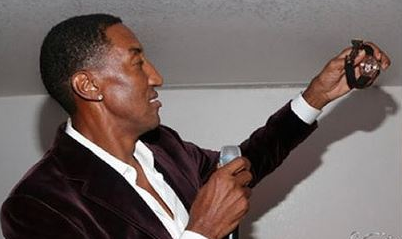 TMZ Sports has learned … Pippen was gifted the watch at his 50th birthday party over the weekend … given to him by the CEO of the company himself. 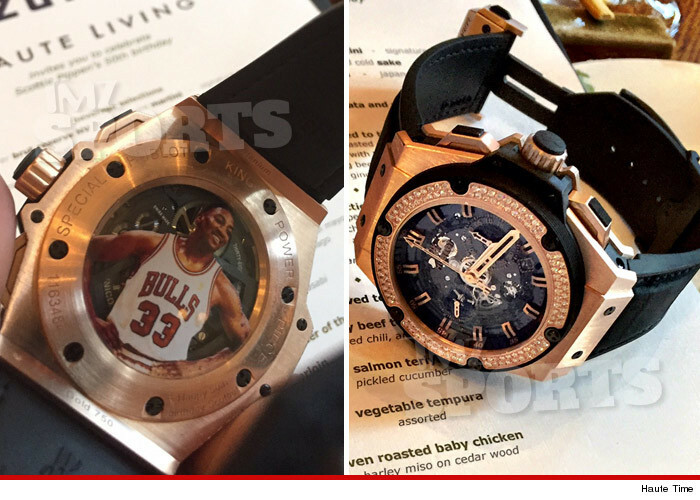 The watch is a Hublot Power in King Gold — complete with a picture of Scottie in his #33 Bulls jersey laminated inside the case back of the time piece and valued at $70,000 … according to Haute Time, which threw the party.  And get this … MICHAEL JORDAN was in the flesh at the shindig to see the whole thing go down … Michael B. Jordan, that is.